Betty Padilla is photographed in her apartment on Tuesday, Nov. 24, 2015, in East Ridge, Tenn. Behind on her electric bill, her power was turned off this summer. The Partnership has helped her keep her power on, but she now has another disconnection notice. 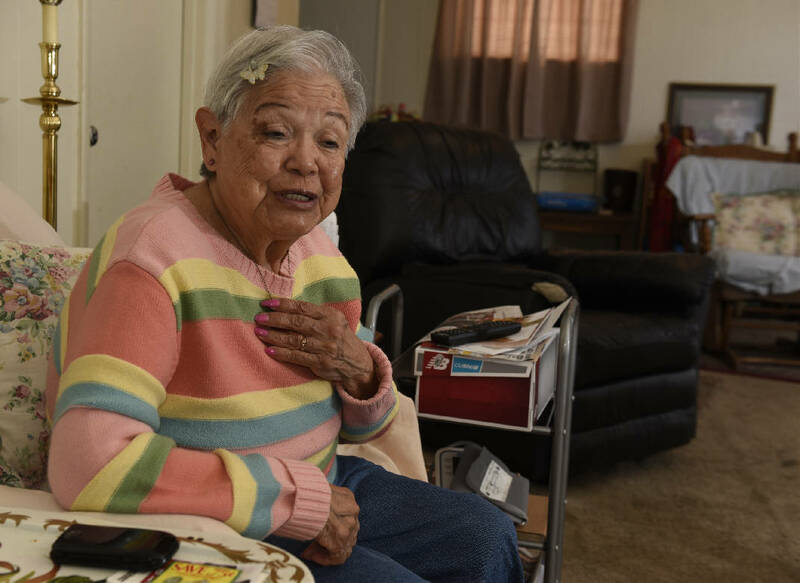 An 84-year-old woman endured sweltering heat for more than a month this summer until she got help from the Times Free Press Neediest Cases fund to get her electricity restored. Not having electricity caused Betty Padilla's refrigerated food to spoil. Visiting friends or family were unable to bathe, because she had limited lighting in her home. The only light was from a neighbor who allowed Padilla to run an extension cord from her East Ridge duplex to his home so she could burn a lamp during the night. "It just feels so good to take a shower, wash clothes and cook," she said this month, just days before Thanksgiving. 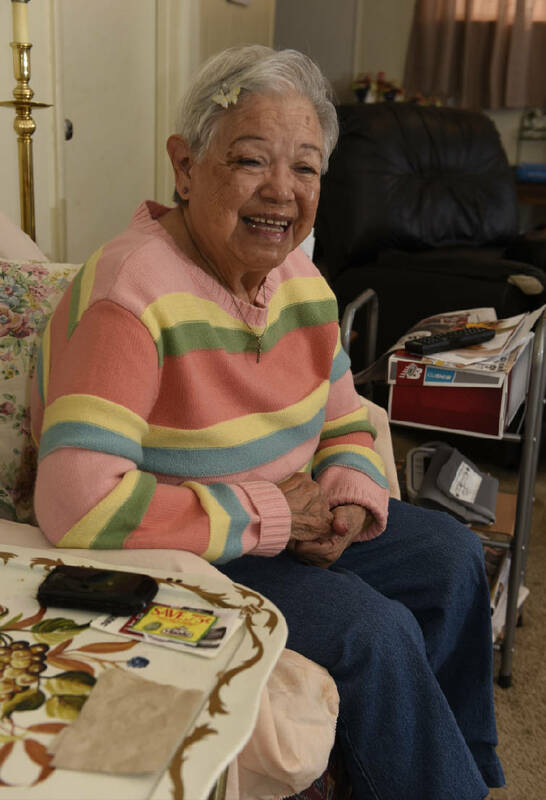 Padilla is among hundreds of senior citizens, single-parent households, people with disabilities and veterans benefiting from the annual Neediest Cases campaign funded by Chattanooga Times Free Press readers. This year the fund is administered by the United Way of Greater Chattanooga. Readers contributed more than $47,098 that helped some 300 people during the 2014 season. Fundraising this year started Thanksgiving Day and ends after Christmas, but the money is distributed year-round. This year marks the fundraiser's 101st year. Assistance goes to people needing help with necessities such as rent, utilities and obtaining medications. "It's a godsend," Padilla said. Amaad Dowdell, a social worker with the Partnership for Families, Children and Adults, saw Padilla's need and referred her for assistance. Padilla can't remember the exact month she was without power, but she said temperatures got so hot in her duplex the air felt too thick to breathe. She received $200 from Neediest Cases, which paid the majority of the $300 needed to get the electricity to her home restored. Having electricity also allowed Padilla to have a working refrigerator again, which made eating healthy meals and managing her blood sugar easier, she said. Electricity enables her to regulate the temperature in her home and have lights at night, she said. "[Neediest Cases] shows a community that people care," Padilla said.